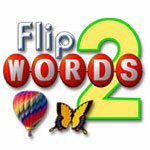 Word - Create words and use letters to solve puzzles and other challenges. 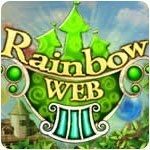 Collect Rainbow Dust to Restore the City and Defeat the Wicked Spider! 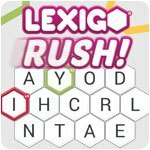 Rush to find as many words as you can! The Most Popular Word Making Board Game Available for PC! Like Mahjong and Scrabble in 1 game! 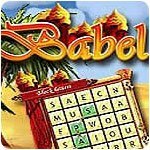 Build the Tower of Babel by solving word puzzles - 25 different mini-games to play! 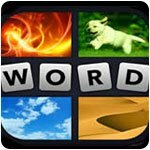 Play 25 different word puzzles in 1 game! Fantastic undersea word making! Earn fish for your reef. Help Bonnie write a best-selling kid's book! Get the hit game show now for play on PC! Play with players worldwide in teams or head to head! 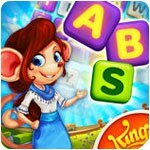 Use letters to solve Wheel of Fortune type puzzles! Rearrange letters to unveil neat photos! Triple Word Score! 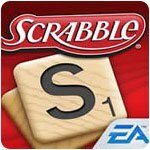 Play Scrabble for free on PC! Form words in all directions to propel to the next level! Link the letter balls to form words. A great blend of Hangman and Boggle! Join Pat and Vanna as you solve word puzzles! 2 classic casual games into 1, a mix of Scrabble and Mah Jong! Challenge yourself to a word search! 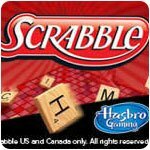 A super fun blend of Scrabble and Crosswords! 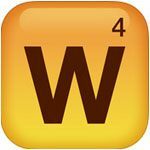 Word games are puzzles that rely upon a player’s language ability to solve them. They can be competitive games where one player’s skill is pitted against another’s as in Hangman, Scrabble or charades; or they may have a player to solve the puzzle creator’s challenge like in crosswords. Word games are found in almost all written languages and are widely regarded as both entertainment and education. Media has helped to promulgate their popularity: the crossword is a fixture of almost all daily newspapers, the word puzzler is a regular feature on many National Public Radio shows, while television has spawned the mega-hit “Wheel of Fortune”, a variation on the classic game of Hangman. 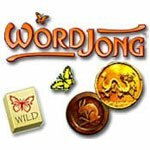 Word games can be classified into three categories: games in which paper and pen are used to solve the puzzle; games in which letter tiles or dice – either real or virtual – are rearranged to find or create words; and games in which words are either implied or enacted. Additionally there are various types of “word play” type games like puns, acronyms and double entendres that writers occasionally incorporate into their work as sport for their readers. Riddles are the oldest known word games, and arguably still the most popular. “Who becomes pregnant without conceiving, who becomes fat without eating,” asks a Babylonian cuneiform. The answer? A rain cloud. Charades dates to 16th century when it was one of the parlor games popular at the French court. Word square games have been found in the ruins of Pompeii, but the first recognizable crossword – a four by four grid with horizontal and vertical clues – appeared in the Italian magazine Il Secolo Illustrato della Domenica in 1894. Twenty-one years later the first “wordcross” was published in the New York World newspaper. “Wordcross” became “crossword” in a typesetter’s mistake. The puzzle quickly became a craze, driving newspaper circulation around the world and springing up in every language that uses an alphabet. Simon and Schuster brought out the first crossword puzzle book in 1924 – it came with a pencil; and The New York Times began publishing its venerable puzzle in 1942. Today it’s been estimated that some 40 million Americans enjoy crossword puzzles for recreation. Scrabble was the brainchild of a Depression-era architect who couldn’t find work. Alfred Mosh Butts analyzed the frequency with which letters appear in the English language to come up with distribution and point value for his lettered tiles. The original game called “Lexiko” used a hundred squares and did not catch on until James Brunot, one of the original investors, bought the exclusive rights to manufacture the game, simplified the rules, and changed its name to “Scrabble.” The game became a hit after the president of Macy’s began stocking it in his department store. In 1971, the first national Scrabble tournament was played. The first Official Scrabble Players Dictionary was published in 1978. Boggle was invented in 1972 by Alan Turoff. Very little is known about his inspirations. The game was not a hit with players, however, until Parker Brothers relauched it in 1976 with an extremely popular advertising campaign. Word game aficionados come from every walk of life. What they share is a love for puzzles and for language. 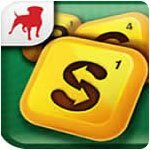 Word games are the nexus where visual and linguistic skills meet. For the very young, word games provide a stealthy form of education, teaching as they entertain. For older players word games can be both a social recreation and a solitary passion and a great way both to improve vocabulary and keep the mind sharp.